Another one for the books… our three year old threw up one evening because he kept on jumping up and down while he was eating his dinner. To this Ryan answers, “I made ‘suka’, BUT I DIDN’T DO IT! It’s but natural for a kid, in fact for most of us, to shift the blame. We saw it in the Eden, we’ve seen it in our own lives and now we see it in our kids’ lives. One of the important lessons our kids need to learn early in life (and so should we) is to take responsibility. We may become successful in passing on the blame to something or someone else, but have we really learned our lesson? Soon enough, it boomerangs back and hits us without us even realizing it. 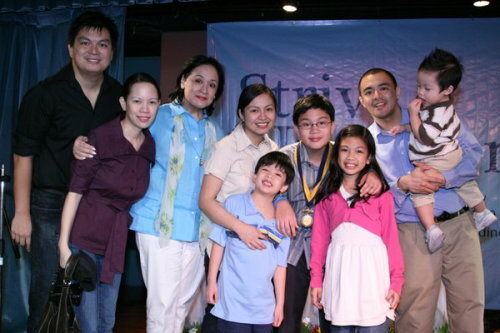 Our eldest, Nathan, graduated from gradeschool last Monday. I was a bit emotional from the first moment I saw him in his toga, to listening to his speech. (Yes, I’m OA!) It was just like yesterday when I sent him off on his first day in preschool. I am so proud of my son. He was homeschooled from Grade 3 to Grade 6, then we decided to put him in a regular school for Grade 7 to help him transition to highschool. 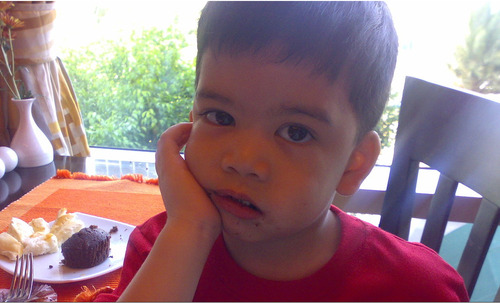 By the way, he is going to Ateneo de Manila for highschool. Despite his rough start in school last June, Nathan came out top of his class, which merited him the “Scholarship Award.” He also received the “Best in Computer” and “Best in Music” awards. 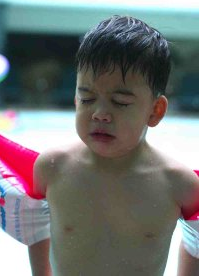 I realized how mature our son is when we saw him rise above his difficulties and challenges. Highschool will be a totally different ballgame but I am confident in my heart that Nathan will excel there as well, not just academically but also in character. I trust that God has big plans for him there.